CANASTOTA, NY - APRIL 11, 2019 - The International Boxing Hall of Fame announced today Hall of Fame commissioner Marc Ratner will be in Canastota for the Hall of Fame’s 30th Anniversary celebration during the 2019 Hall of Fame Weekend, June 6-9th. Ratner began working in boxing as an inspector for the Nevada State Athletic Commission in 1985. In 1987, he was named chief inspector and following the death of Executive Director Chuck Minker, Ratner was named his successor in 1992. He served as director until 2006 when he resigned his post with the commission. During his notable tenure he earned a reputation for his integrity, knowledge, competence and accessibility. 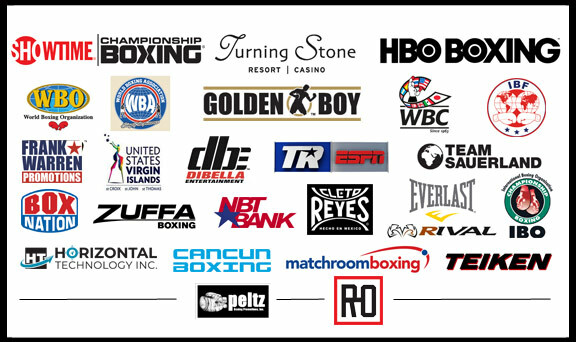 Under Ratner’s leadership the NSAC was held in the highest regard by the boxing community. Since leaving the commission Ratner has worked as Vice President of Regulatory Affairs for the Ultimate Fighting Championship (UFC). In 2016, Ratner was elected into the Hall of Fame. An impressive list of over 35 boxing greats from the United States and abroad, including five-time world champion Vinny Paz, junior welterweight star “Irish” Micky Ward, 1970s heavyweight star Earnie Shavers, two-division champion Ricky “The Hitman” Hatton, bantamweight champion Paulie Ayala, welterweight champion John H. Stracey, Olympic gold medalist and two-time welterweight champion Mark Breland, two-division champion Antonio “Magic Man” Tarver, heavyweight champion Leon Spinks, referee Kenny Bayless and Hall of Famers Larry Hazzard, Carlos Ortiz, Michael Carbajal, Marco Antonio Barrera, Erik Morales and Michael Spinks, are scheduled to participate in the 30th Anniversary celebration.